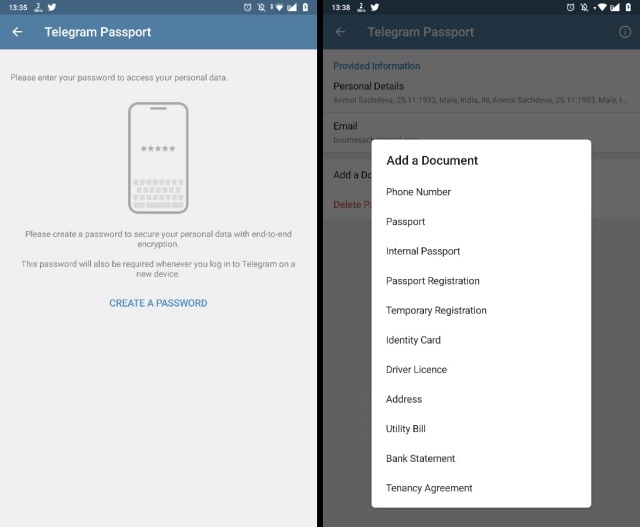 Telegram recently launched the Telegram Passport, which allows you to store your real-world IDs (or documents) online for easy sharing with services that require you to prove your real identity. However, recent reports suggest that the personal identification authorization tool is actually quite vulnerable to brute force attacks. However, Telegram uses SHA-512, a hashing algorithm that is not meant to hash passwords. This algorithm reportedly leaves passwords vulnerable to brute force attacks, even if they are salted. For those of you unaware, a salt is random data added as an extra secret value, which extends the length of the original password, providing some additional protection. To sum things up, Telegram Passport is a great tool which has been let down due to its security flaws. As the report itself concludes, “the security of the data you upload to Telegram’s Cloud overwhelmingly relies on the strength of your password since brute force attacks are easy with the hashing algorithm chosen”.